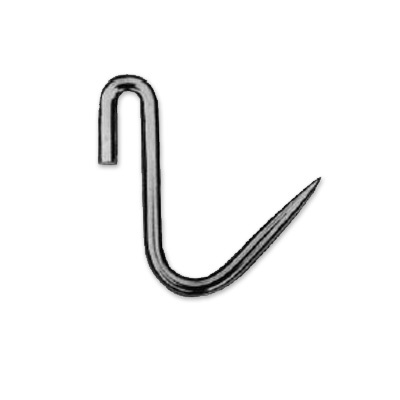 Stainless Steel Rail Hook. Solid 18-8 type 304 stainless steel with sharp smooth points. 5/16" x 4" x 1/2"